While a whopping $1.4 billion has been pledged on Kickstarter since the crowdfunding platform’s inception in 2009, only 40 percent of projects have gone on to become fully funded. To this end, small-business payroll service SurePayroll has compiled the following infographic about how to best attract Kickstarter funders and ultimately manage a winning campaign. Entrepreneurs should start working six months prior to a campaign’s launch, for instance, and remember that brevity is the soul of wit: product explanations should be no longer than one-to-two sentences, videos should last no longer than three minutes, the total length of a campaign should never exceed 30 days and the financial ask should remain as low as possible. And if you’re going to be asking for big bucks, be prepared to put in the time. A recent study found campaigns that have successfully raised $100,000 spent at least 200 hours in the preparation phase and an average of 136 hours in project management. For these and other stats, check out the infographic below. More evidence of TV Everywhere's momentum today, as FreeWheel's Q4 2014 Video Monetization Report found that 56% of long-form and live ads were viewed via authentication. That's more than 4x greater than the 13% authentication rate for long-form content in Q4 '13. Total long-form viewing was up 43% in Q4 '14 vs. the prior year. The new data follows Comcast's news last week that 30% of its Xfinity TV subscribers use TV Everywhere monthly. (Note Comcast owns FreeWheel). What impact will the new changes to DRM have on OTT providers? DRM plugins in your web browser are soon to be a thing of the past. Late last year, Google’s most recent version of Chrome stopped supporting the Silverlight plugin for viewers on the Apple Mac platform. This change means that any viewers using Chrome won’t be able to access PlayReady protected content, and Google’s newest release of Chrome has also disabled this function by default on PCs. This Chrome update is only the beginning of a series of changes to DRM support on web browsers, with all browser vendors moving to embed a specific DRM technology on each of their web platforms. So what does this mean for OTT providers? With Chrome dominating the desktop browser market, there are inevitably going to be some unhappy consumers. In some cases, customers will realize that all they need to do is change their browser, but operators also face the risk that they could lose disaffected customers. OTT services are moving towards increasingly complex and fragmented offerings. As DRM solutions evolve and become more specifically tailored towards devices and browsers, OTT businesses must employ a multi-DRM strategy to adequately meet consumers’ needs. So what can operators do to stay ahead of this curve? Managing multiple DRMs, devices and browsers will become increasingly difficult and operators will therefore need to manage complex ecosystems and effectively manage resources to maintain top quality service. The industry has widely embraced HTML5 web browsers that can play DRM-protected content, and as a result, plugins such as Silverlight, Adobe Flash or Widevine are being phased out. Plugins have generally been identified as an easy entry point for hackers, and this is where HTML5 can provide enhanced protection for premium content. Not only it is a generally more secure offering, but HTML5 also provides viewers a faster and more stable way to consume content. Not to mention the poor user experience due to the necessity to re-install and update plugins, which can even incur operator costs in providing customer support. It’s fair to say that for many, plugins will not be missed. What do OTT providers need to keep in mind? For viewers, DRM changes in web browsers and plugins means that they won’t be able to access content that is protected by a DRM technology that differs to the service in their browser, possibly leading to frustrations with content access. This is why it is key for operators to ensure that they can support all of the main DRM formats needed to reach the variety of browsers used by their viewers. Additionally, they will need to support legacy DRMs and delivery systems (e.g. 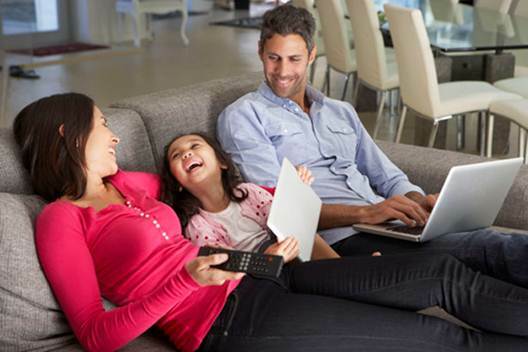 for connected TV’s, older browser versions and devices) for the foreseeable future in order to continue to provide consumers with a positive viewing experience. Vitally, operators need to asses which solution is right for their business as a whole moving forward, in order to ensure that customers still continue to receive the best viewing experience possible. This could either be through additional resources to address the increasingly complex ecosystem, or sourcing a technology agnostic solution that reduces complexity. Whichever approach providers choose to take, it is important that the focus must always be on providing the consumer with the best way to access the content they desire. ITV’s new low-entry VOD advertising format, Ad Show, has been used by 14 brands across 16 campaigns since launching last September, mainly advertisers new to TV – including publishers Hodder & Stoughton, car dealerships such as Pentagon Group and Midland Vauxhall, and Princes Foods’ Napolina brand. However, well-established TV brands such as Everything Everywhere and Panasonic have also experimented with the new concept. Ad Show is the creation of Jon Block, controller of commercial digital products at ITV’s commercial and online division, and was joint winner of the 2014 Future TV Advertising Screenings last December. Ad Show not only allows advertisers and agencies to create interactive VOD ads for less than a thousand pounds, but generates significantly higher brand recall and purchase propensity than print and radio. Ad Show’s cost efficiency derives principally from its ability to re-purpose existing print, radio and display assets, such as a glossy high-quality images from press or poster campaigns and commercial radio audio-tracks, together with the use of pre-defined templates to turn these into an interactive 30-second audiovisual sequence. Block says that a typical Ad Show advertiser pays under £500 to record a voice-over, and if they wanted to enhance the creative further they could consider buying a £500 video from a stock library to use as a background. The ad-creation tool, provided by partner Brainient, a UK-based interactive video provider, is also very straightforward to use, requiring minimal training. In an unusual move, in agreement with Brainient, ITV is making the Ad Show format openly available in Brainient’s web-based creation tool – dubbed the Brainient Studio. In theory, that means an agency could use it to create an ad for any VOD platform, not just ITV’s. In the images shown below, a still taken from furniture company Arighi Bianchi’s print campaign for its Halo line is turned into a 30-second VOD commercial which could be inserted into an ITV Player stream by the addition of ‘hotspots’ linked to the items shown. Viewers are free to engage with the ad at any point (short of fast-forwarding through it) and can click on any of the hotspots themselves to find out more, and if necessary, complete their purchase (see below). Block explains that the ad will keep on ‘playing’ after the 30 seconds is up if the viewer is still interacting with it, effectively extending the length of the ‘break’ and therefore the viewer’s engagement – a plus for advertisers. Quantitative research carried out by ITV/Decipher as part of the same study showed that “top of mind brand recall” (when respondents list a brand first after being asked an open question about which ones they can name) was significantly increased by using Ad Show, delivering a three times greater uplift than press and radio. Meanwhile, of those who interacted with the new format, 55% expressed “positive sentiment” about the ad, with the same sub-group delivering a purchase propensity of 28%, double that of a control group, representing an uplift five times greater than print and radio.